He was born in Germany on March 14, 1879. He is a German physicist. 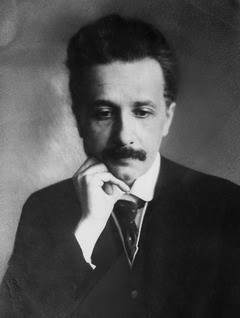 He developed the special and general theories of relativity. In 1921 he won the Nobel Prize for Physics. He got the prize for his explanation of the Photoelectric effect. Einstein is generally considered the most influential Physicist of the 20th century. He is a German-born physicist. Albert Einstein’s parents were secular, middle class Jews. His father name was Hermann Einstein. He was originally a featherbed salesman and later ran an electrochemical factory with moderate success. His mother was former Pauline Koch, she ran the family household. Albert Einstein had one sister.Her name was Maria (who went by the name Maja). She was born two years after Albert Einstein. Albert Einstein’s education was disrupted by his father’s repeated failures at business. In 1894, after his company failed to get an important contract to electrify the city of Munich, Albert Einstein moved to Milan to work with a relative. Albert Einstein was left at a boardinghouse in Munich and expected to finish his education. Alone, miserable, and repelled by the looming prospect of military duty when he turned 16, Einstein ran away six months later and landed on the doorstep of his surprised parents. His parents realized the enormous problems that he faced as a school dropout and draft dodger with no employable skills. His prospects did not look promising. 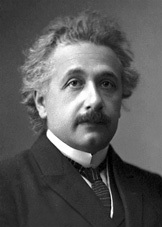 Einstein’s work was interrupted by World War I. A lifelong pacifist, he was only one of four intellectuals in Germany to sign a manifesto opposing Germany’s entry into war. 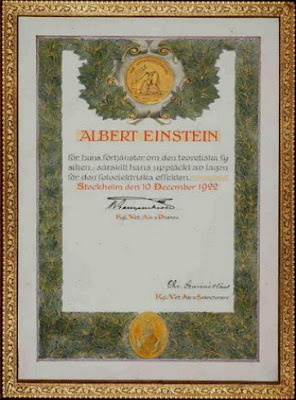 Disgusted, he called nationalism “the measles of mankind.” He would write, “At such a time as this, one realizes what a sorry species of animal one belongs to.” After this Albert Einstein announced for NOBEL PRIZE. Death of Albert Einstein on 18 April 1955, Albert Einstein experienced internal bleeding caused by the rupture of an abdominal aortic aneurysm, which had previously been reinforced surgically by Rudolph Nissen in 1948. Assalam-o-Alaikum...! My name is Saeed Ahmed. I am a web designer. I have create a new blog recently by name Behind The Face. Please visit, if you like it then share it with others. http://thelegends007.blogspot.com Thanks. The Real Lion of Pakistan...!